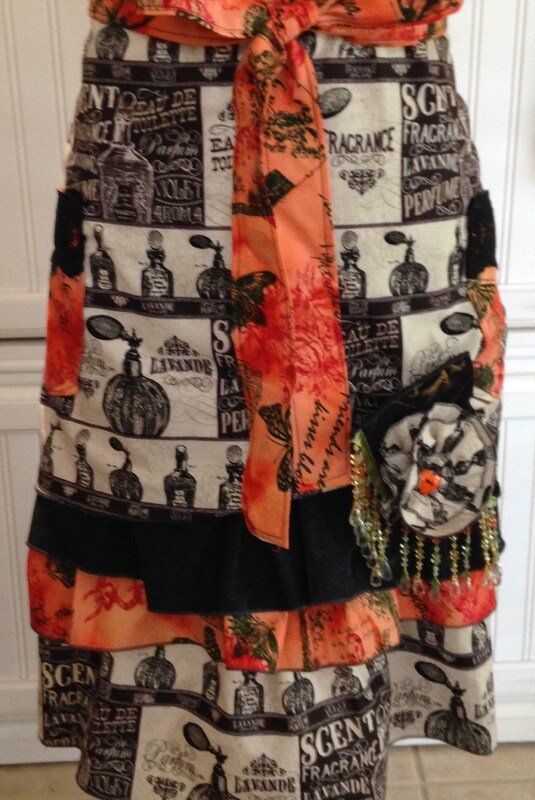 This ruffled apron was crafted using a french perfume toile print in black cream and an orange with black butterfly and sweet phrases print fabric. 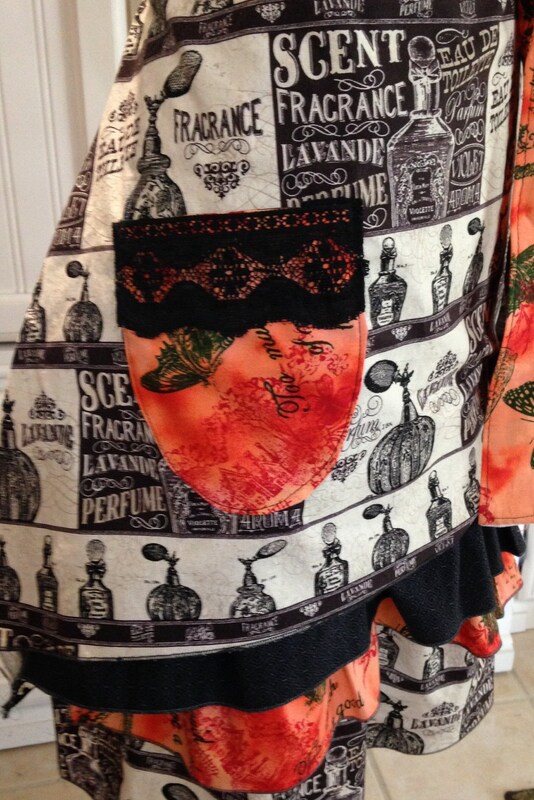 The French perfume fabric features different elegant perfume bottles on the apron skirt, the bottom ruffle and the bodice. 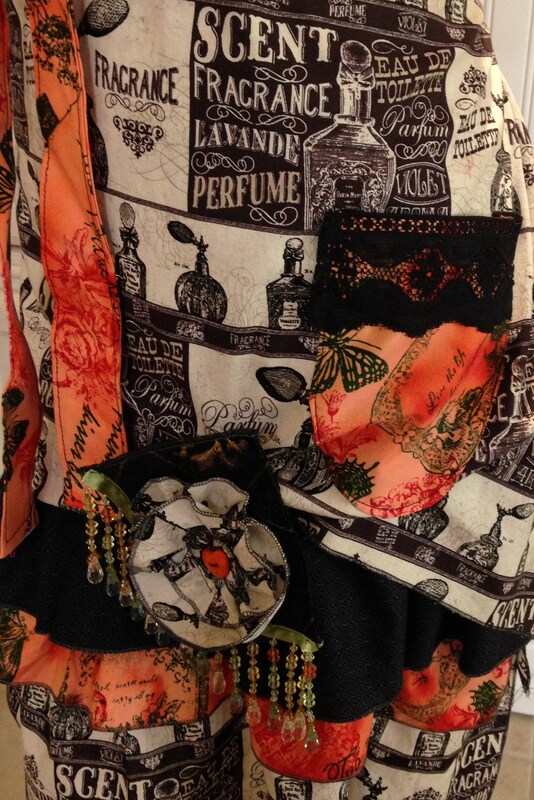 The other two ruffles feature a deep black and a black butterfly on orange print. All seams and edges are finished with a serged rolled hem. The ties are extra long in the pink fabric, so you can tie them in back, on the side, or in front as pictured. The ruched bodice is beautiful on any figure type and highlighted with a heart shaped bone colored button. The fabrics used are all quilt quality cotton and seams are serged for longevity. 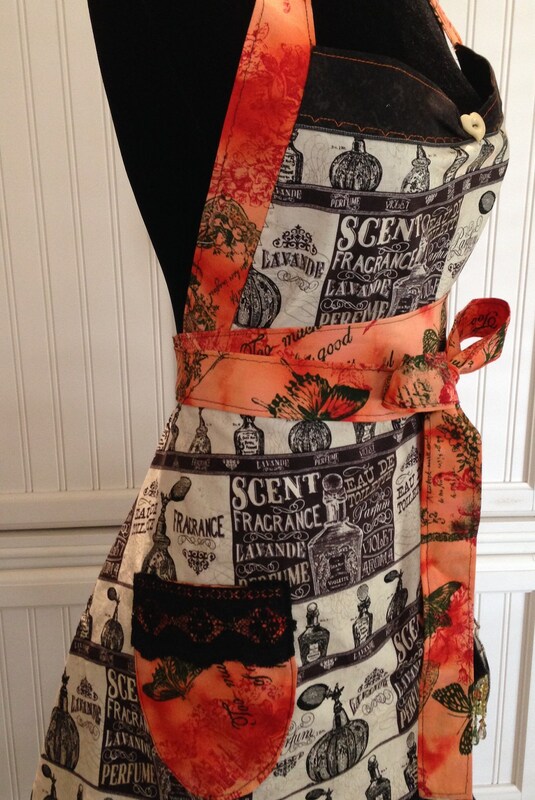 This apron is extra special as this Is the very last of my French perfume fabric. 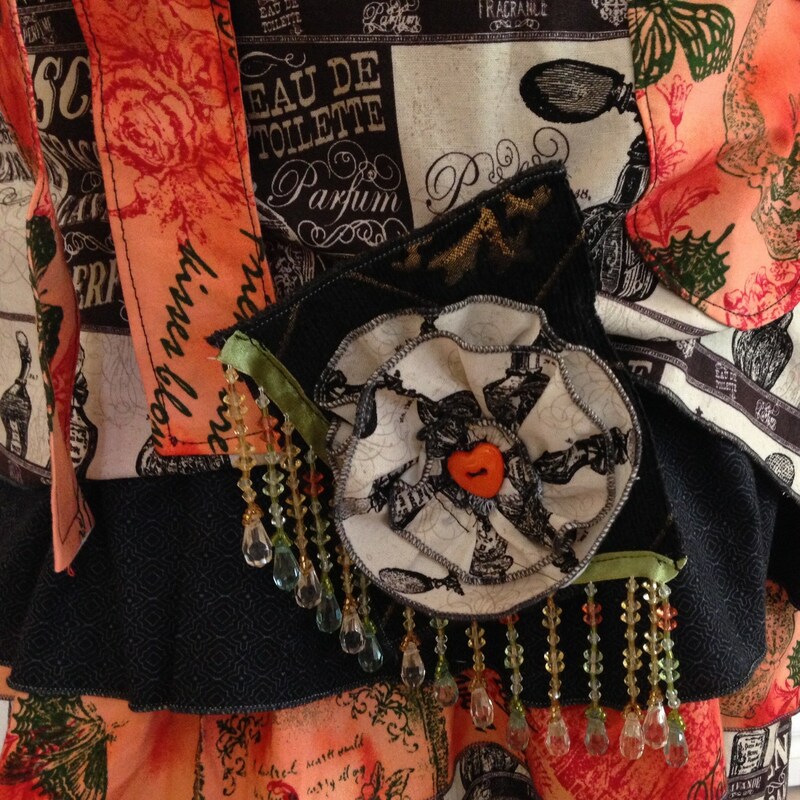 The two pockets stand out in the orange print and have a wide black lace top trim. The bottom ruffle is a bit longer in order to use the last of the beautiful perfume fabric. 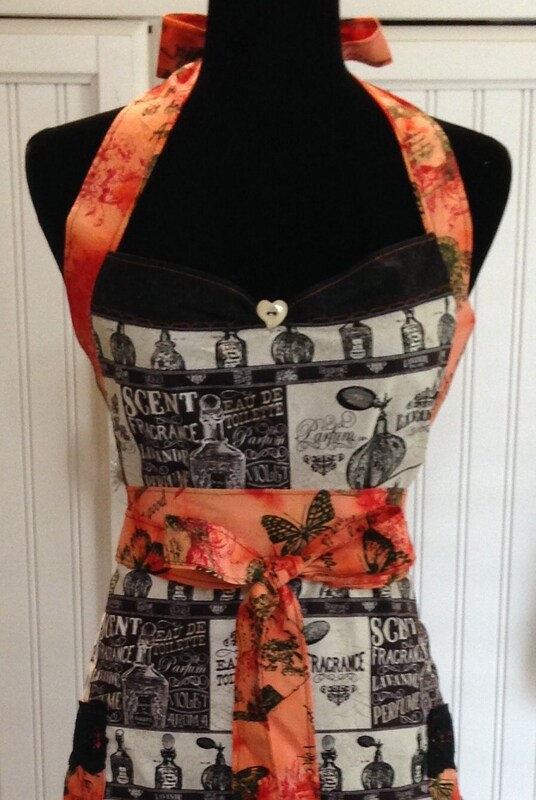 This gives the apron a lean silhouette and looks elegant enough to almost whisper se la vi! 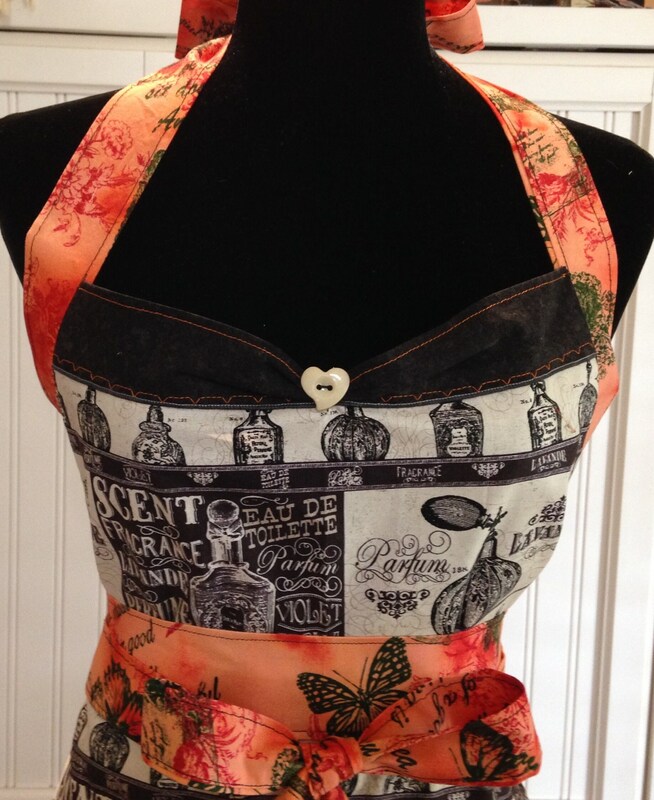 The apron comes with a specially made scrap fabric flower with an orange heart shaped button center clipped on the apron hem for easy removal during laundering. 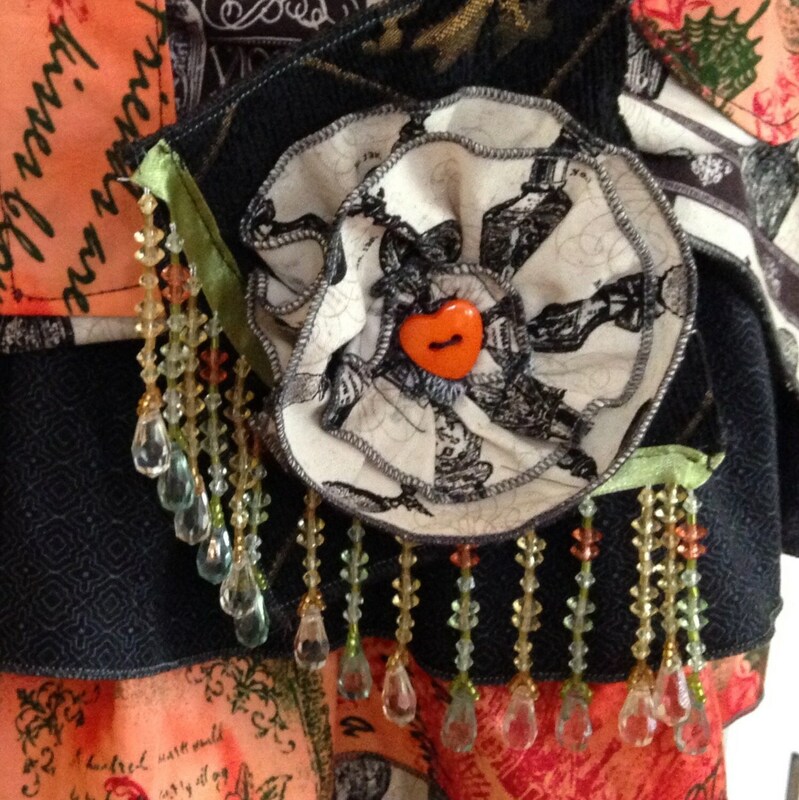 This flower is extra special as it has vintage beaded tassel trim.